This poster was printed with letterpress printing. In this old printing technique every letter is set individually by hand. 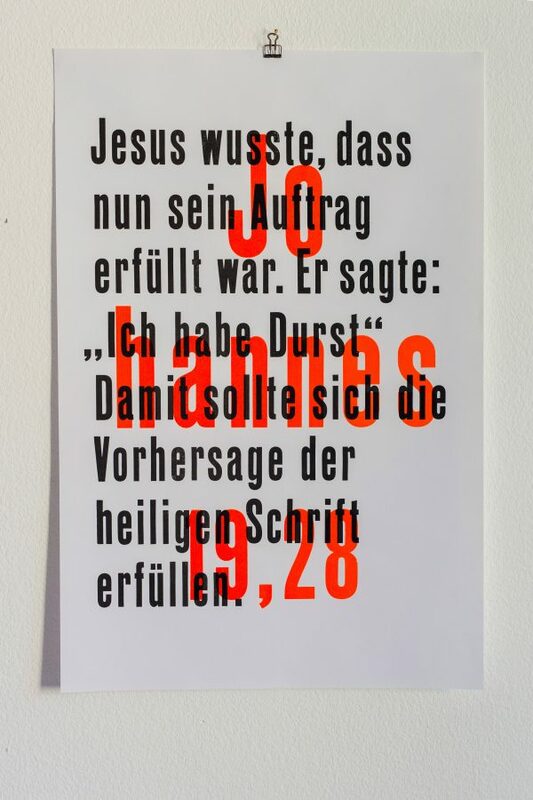 This art piece shows the unexpected bible verse John 19,28 (German Johannes 19.28) in a typographic poster. It intrigues the viewer and lets him wonder what it’s context might be. It’s a limited edition of 10 prints.